I’m currently working on remodeling my master bathroom and was ecstatic to participate in the Sauder “Put It Together” challenge. 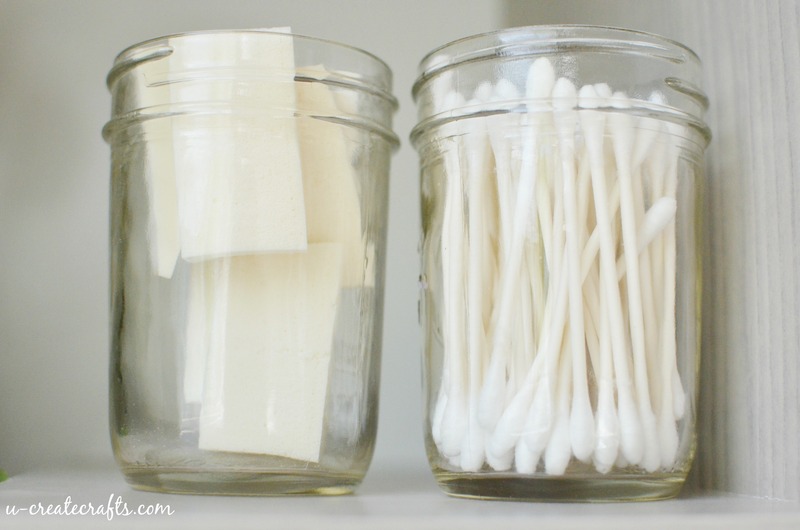 I have a blank wall that needed some love (and a piece of modern furniture) to store some of my daily bathroom items without looking sloppy or messy. Can I just say how much fun putting this together was? While reading the instructions, the booklet explained to do A, B next, C…and so on. Then the sense of humor comes out and it says “now you know our ABC’s” you can put this together. Following directions can be boring right?! My husband and I got a kick out of the funny sayings during the building process. We had this built in only 20 minutes – a piece of cake! 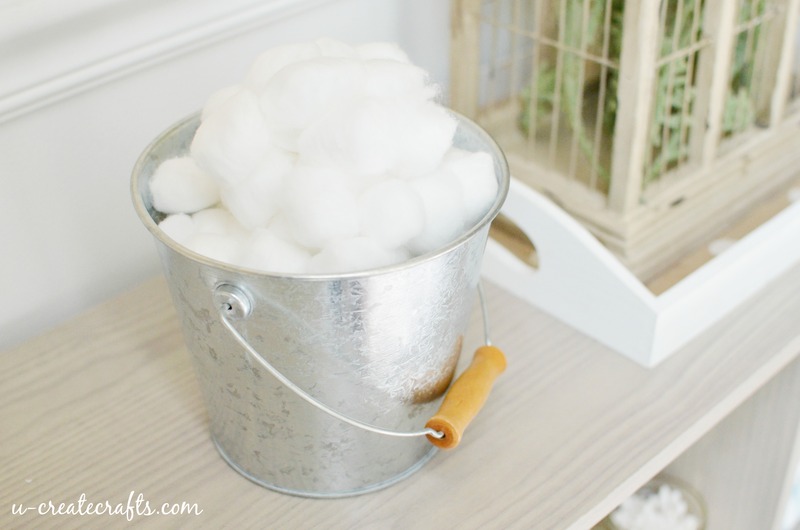 As for styling, I grabbed some metal buckets, mason jars and began filling them with bathroom essentials! I also wanted to use some plants and candles to give the room a cozy feel. 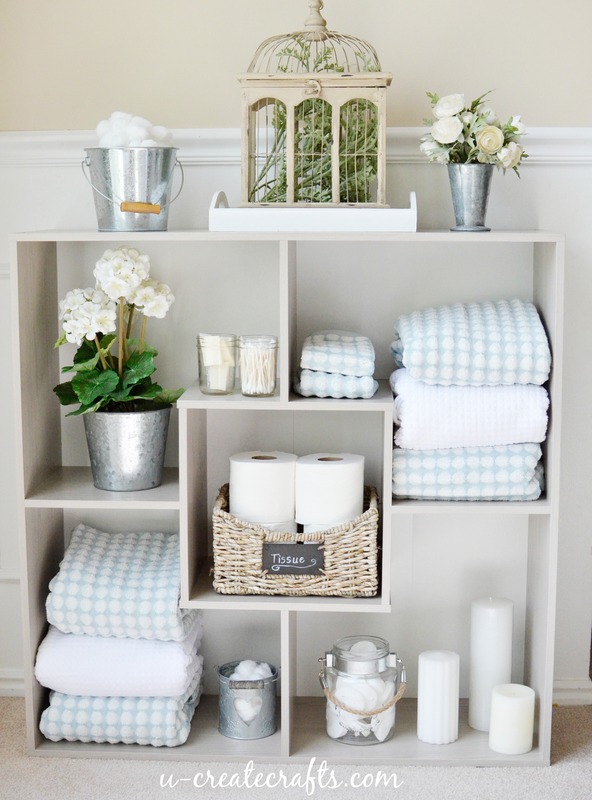 I found some polka dot towels that I fell in love with and they fit perfectly on these Sauder shelves. Step one of my bathroom is complete. I love all of the storage that this piece offers. You can do so many different things with it: display in a living room with books, a craft room with supplies, and so much more! Looking for inexpensive furniture inspiration? Check out the Sauder Look Book for beautiful styling ideas, home decor pieces, and more!